Theranostic Applications of Nanotechnology in Chronic Obstructive Lung Diseases. Multifunctional Tumor Targeted Nanoparticles for Lung Cancer. Nasal and Pulmonary Delivery of Macromolecules to Treat Respiratory and Non-Respiratory Diseases. 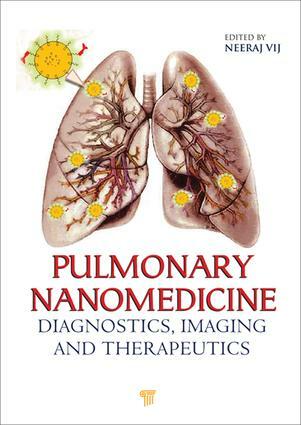 In vitro and in vivo Diagnosis of Pulmonary Disorders using Nanotechnology. Nanoparticles for Targeting T Cells in Allergy and Inflammatory Airway Conditions. Multifunctional Chitosan Nanoparticles for Asthma. Targeted Felivery to Pulmonary Endothelium. Nano-Systems for Selective Epithelial Barrier Targeting in Chronic Airway Diseases. Health Risks of Engineered Nanomaterials in Pre-Existing Lung Disease.